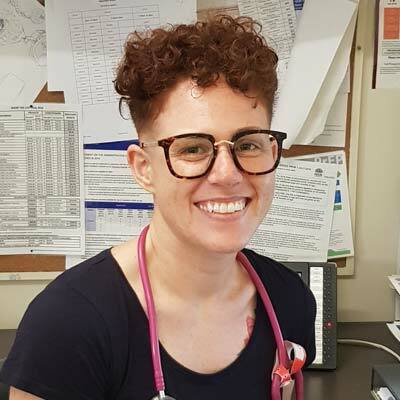 Dr Michelle Guttman-Jones graduated from Sydney Medical School and is currently working towards fellowship with the Royal Australian College of General Practitioners. She enjoys seeing a broad range of patients for all reasons. She has a specific interest in transgender health, and a general interest in LGBTQIA+ health. In her spare time she likes to play roller derby, and has competed internationally.